Back To Big City – Kuala Lumpur – 3 weeks of semester break has finally comes to an end. Life in Penang was so awesome with family and friends, as well as good food and good place and I just never felt enough with it. Well, life still has to go on, a new semester will be commencing next week and I have to get my mind back into the “interior design mode”. Lot’s of things are gonna be learned and work too. Back to my little loft in Kuala Lumpur, to be exact – PJ. 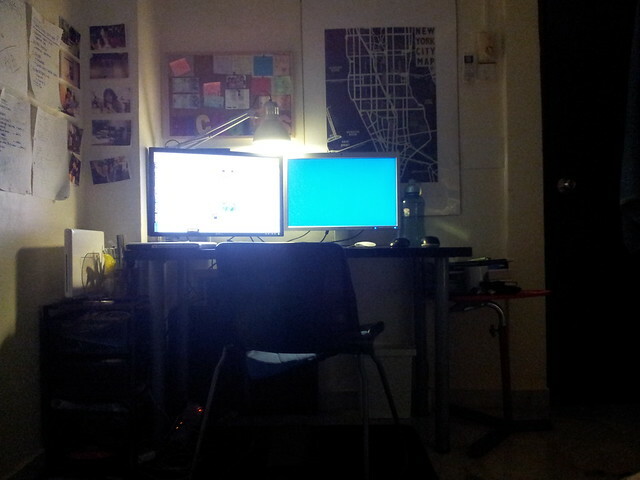 Hmm, this little small room is my entertainment, work, sleep place. I spent my whole night with cleaning up my room and watching Matrix Trilogy, and also Internet! So lazy to go out on the first night back here. Anyway, gonna spend some time updating my blog this few days. =D Stay tuned. Good night everybodehhhh.